From every angle, Eight Degrees is the hallmark of the unique Melbourne lifestyle. Striking on character, yet sympathetic to its surrounds, Eight Degrees stands as a sentinel to timeless and measured design. Evocative tones and textures reveal themselves from behind leafy garden beds to lend the exterior a hint of intrigue, as a bold double-height entrance underscores the dramatic sense of arrival. Reaching skywards, glass facades of the uppermost levels add an element of lightness, while hidden away below street level, secure parking, bicycle racks, extra storage and rainwater tanks provide amenity and peace of mind. Within each of the superbly designed one and two-bedroom apartments, comfort and sophistication come together in harmony to create a masterpiece of light, spaciousness, convenience and style. Intimate notions of private luxury extend throughout, from the relaxed and spacious, wool-carpeted bedrooms to the sleek lines of fully tiled bathrooms and cleverly concealed European style laundries and double glazed windows throughout. 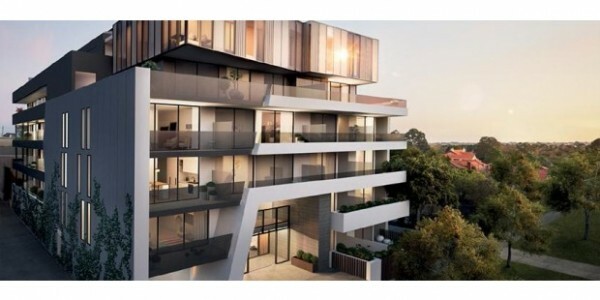 With its unmatched European ambience, gourmet offerings and close proximity to Chadstone’s centre of couture and fashion, the vibrant heart of Oakleigh offers up a daily temptation to indulge the senses and live a life of luxury. Greek bakeries, fresh produce markets, gourmet small goods-sellers, traditional coffee houses and legendary restaurants jostle for attention along its streets and laneways. At the heart of this, is the plaza-like Eaton Street, where generations of families meet and dine, chat, laugh and celebrate life with gusto. It is an atmosphere that is distinctively steeped in the flavours of Greece and the Mediterranean, but a village that welcomes all, with Oriental grocers, German delicatessens and Asian restaurants proudly serving an eclectic clientele.